I enjoyed my Saturday. I had good food, did a location broadcast and enjoyed a nice nap! I would say that's a pretty decent day. I didn't make it to the Y for my workout and that's okay. I was a tiny bit disappointed in myself for this, but quickly stopped before it became an issue. I can, from time to time, allow myself to not workout, and be okay. Although, I do like the feeling of finishing a good workout more than I like how it feels to skip, when the plan was to not skip. January comes to a close marking the 9th consecutive month of daily blogging. I'm proud of this. I'm thrilled, because I know what it does for me. This nightly ritual is imperative to my success. I'm wrapping up early and headed to bed. I have another location broadcast tomorrow at a Superbowl party hosted by Budweiser and a big casino. One of the many wonderful benefits of my weight loss is being able to get around so much easier without tiring. At my heaviest, everything was a chore, not so much these days. I'm very grateful! Getting up in time for my radio show was tough after the exceptionally late night. I was a little grumpy for the wear and it seemed like everyone around me wanted me to do what they needed me to do and I had little time to do what was already in front of me. It was a busy day. It wasn't a day where I could finish my show and crawl back into bed. I've noticed a shift, though. Now, when I get into 'tired/irritable' mode, it doesn't seem to affect my resolve for taking extraordinary care. There was a time, not too long ago, when I couldn't say that at all. In fact, I clearly remember a time when any unsettling of my harmonious perception could/would send me into struggle mode. So, there's growth! I had a location broadcast from 11am to 1pm today. Often times at these events, there's plenty of free food. Today was no exception. Except, it wasn't even a concern. I didn't reach out for support to help me through it, because 1/4 lb hotdogs and potato chips weren't the least bit appealing. My plan was to hold on until the broadcast finished, then pick up some grilled chicken and squash on the way home. That's what I did. And it was good! I believe it's important to recognize and give ourselves a little pat on the back when we notice these shifts in behavior. When we consider the fact that this road isn't necessarily about big victories, instead, it's all about the sum of a bunch of smaller victories--then we can truly appreciate, there's really no such thing as small victories. Each one contributes to our trek in critically important ways. I've been meaning to post #throwbackthursday "before" pictures every week--and so far, I've been wildly inconsistent with this plan. 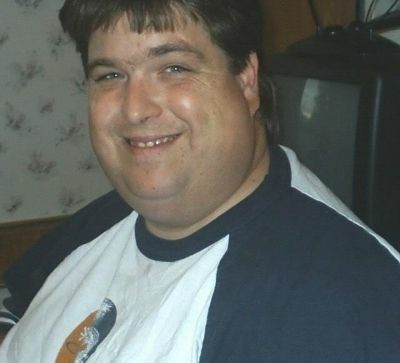 Yesterday's post was already packed, so I waited until now to post this photo of me at my absolute heaviest. That is one of the most fake smiles I've ever mustered, I swear! I was normally a little better at flashing the "I feel horrible but since you're taking my picture I'm supposed to smile," smile. For whatever reason, I couldn't pull it off in this one. Another shift in perspective I've experienced is how I look at 'before' pictures. I held so much self-judgement, shame and an entire smorgasbord of other negative emotions back then and now, I can honestly look at the pictures with love, compassion and understanding. And not because I'm losing weight and feeling great. It's because it's me, there--that's me, heavier, sure--but it doesn't matter. No longer do I look at "old Sean" like he was a long ago friend who passed away. If I would have taken the time back then to let go of the self-imposed negative perspective, I could have discovered a love transcending appearance and perceived failures. It wouldn't have meant avoiding losing weight to improve health and taking better care in general, it would have meant freeing up mental clutter enabling me to move forward easier. I can appreciate and feel that love now, and it's beautifully retroactive. I knew today would be tricky. My time management skills would be tested with little room for error. My dining out skills would be tested, too--and this time without a menu to select from--everyone at the banquet tonight was served the same thing. But more on the banquet in a moment. I had two appointments in the middle of my workday, one for a haircut at 1pm and an updated fitting for a formal jacket at 2pm. Both of these things were good experiences. The haircut, simply because I really needed a trim...and the fitting, because, well-- I needed a new fitting because of the weight loss. 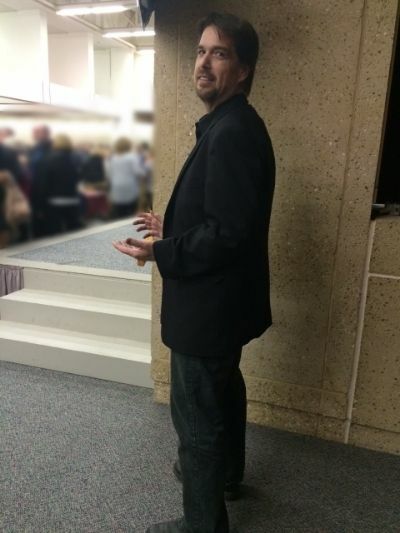 At my lowest previous weight, I wore a 46 long jacket. When I arrived at the formal wear place, I predicted a 48 long was needed. And I was spot on. I predicted it, they grabbed it-- I tried it on and it needed absolutely zero adjustments. I had many events to attend during the relapse and regain period of my journey and many trips to the outfitter. Going in to get another bigger size was always an opportunity for me to be so incredibly and unnecessarily cruel to myself. Those bigger sizes became proof positive that I was slipping in a most dramatic way. Putting on that 48 long today was almost an emotional moment because it was a reminder of how incredibly blessed I've been during this turnaround period. I feel like I've been given a second chance; a "do-over" along this road. I thank God for the opportunity. I know some don't get this chance. I'm grateful, immensely grateful. And I'm paying close attention to and studying the lessons learned--the ones I pray I never forget as long as I live. I was the designated driver for some friends and colleagues this evening. It started early, at 4pm for the pre-banquet reception. While they attended the reception, I made it to the YMCA for my workout. This is where the time management came into play. It was the only time I had to get the workout in today. I finished the workout and raced home with about 25 minutes to shower and change for the evening's chamber of commerce banquet. Earlier in the day, I asked two different people about the dinner. These were people I thought would surely know, and they didn't. I knew one thing for sure: Everyone would be served the same thing, so there wouldn't be the flexibility of navigating a menu. 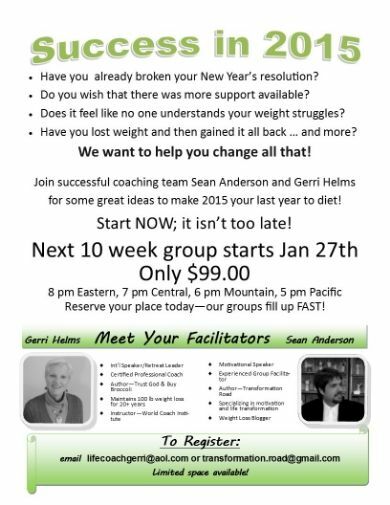 I shared the challenge with my fellow weight loss support group members and a couple of text support buddies. Sharing the challenge made me even more determined to take control and make it a success. I'm telling you--the power of support, it works! I made my way into the banquet without knowing the menu. Before I took my seat, I set out on a mission to find the chef responsible for cooking everything. I found chef Danny Perkins in the back of the venue. I introduced myself and started asking questions. The most important question: Aside from the obvious desserts, do any of the entree items contain refined white sugar? The answer was "No, absolutely not." Perfect! I asked about the menu and he proudly showed me the food to be served. Beef (a cube style steak-meant to be covered in a sauce or gravy) and a small chicken breast, sauteed veggies and baby size potatoes. I noticed a large pan of what appeared to be the gravy. I asked if that's what it was. Danny called it a sauce. He had a real fancy name for it, adding "It's really, really bad for you, but it's sooooo good." I asked if my plate could skip the sauce--and of course, that was totally doable. Then I asked about portion sizes. He gave me all the information I needed for each item. I sent a text to two different support buddies describing this interaction with the chef. The replies: "Excellent- now you can focus on enjoying the event." And "Good deal. You matter." This kind of effort might seem over-the-top to some, but for me, it's a very small effort to exert in exchange for my peace of mind. After the experiences of relapse and regain, not to mention all of the years I spent near, at or above 500 pounds, I now take my recovery too serious to simply leave it all to chance. Had I not taken this approach and just said, hey--it's one meal, one night--don't sweat it...the psychological damage could have rippled far beyond tonight. I know me. I know how my brain works. I needed to take control of my choices tonight and that's exactly what I did. Believe me, the positive effects of this personal empowerment was well worth the minimal effort to make it happen. A couple of current photos were snapped at the event, too! One sitting and one standing, full body-profile. Two different people suggested I didn't need to lose anymore weight. It reminded me of my late grandmother, who, during the last fifty pounds or so of my initial weight loss, would tell me: "Don't you lose another pound!" It's intended as a compliment and I take it as such and say thank you. But I assure you, my 6'3" frame has a way of "hiding the fat" when dressed well. 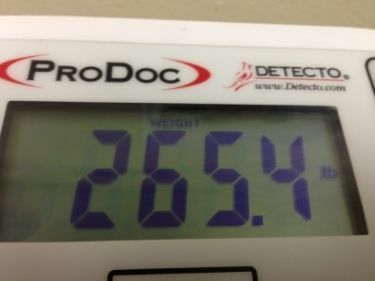 I'm 35 pounds away from my previous goal of 230--and I'm not necessarily aiming for a number this time, but I'd be lying if I said I wasn't looking forward to once again seeing 230 on the scale someday in the near future. Trust me--I have 35 more pounds of fat to lose. Excess skin? I don't even know what that adds and I'm not even concerned with the loose skin issue right now, especially not from a cosmetic sense. It's ridiculously late. I must be on the air at 6am. Hopefully I can finish up early tomorrow and get home for a much needed nap. I'm pretty sure a good nap will be 100% necessary. Made my way into banquet and like a man on a mission, found the chef. This will be easy. I confirmed ingredients and serving sizes. It's really hard to believe. Today marks 40 weeks since the turnaround started. The daily blogging has helped tremendously. 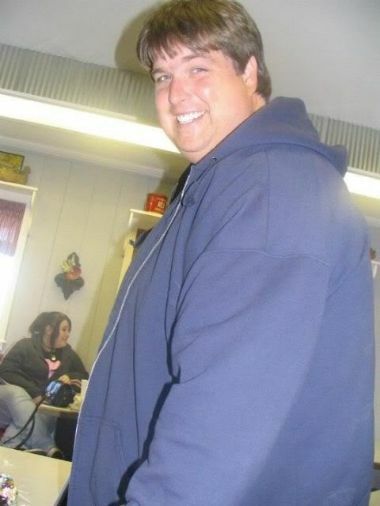 Although the weight loss has slowed dramatically, it's still headed in a wonderful direction. And for this, I'm blessed and grateful! 129 pounds in 40 weeks...I'm very proud. I'm relieved, too. Had I kept spinning out of control, there would be a dark and tragic story to tell, except it wouldn't have been told. I would have simply disappeared from the blogging world, Facebook and Twitter. I thank God for the blessings, the wake up call and a support system of wonderful people who flat out refused to give up on me. Today's weigh-in: Four more pounds down! Now's the time for me to buckle down and continue doing what I know to be right and good for me with good exercise, good food, excellent support and top notch accountability measures. My focus is relentlessly on my continued recovery. As far as the weight and numbers go, I can see a time not too far ahead where I give less attention to the number on the scale and more attention to my overall fitness level. I had to miss my 4pm Yoga practice today. I got caught up at work and just couldn't get away. It was late when I arrived home and I had little time before getting ready for dinner plans. I decided to make today a rest day. I feel okay about the decision. On the way home, I contemplated going straight to the Y just in time for a good cardio workout. But I decided instead to get here as quickly as possible and get my work done before bedtime becomes way too late. I sincerely appreciate your support. It has truly been a blessing for me. 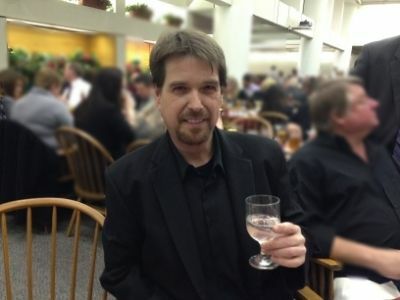 I'll be attending a swanky banquet tomorrow night where everyone is served a very nice meal. I will navigate it to the best of my ability. I'm looking forward to the challenge! "Care to comment on this? It's that argument (i.e. lie) that you can eat all the plants you want and lose weight." The article was written by medical professionals at www.pcrm.org PCRM stands for Physicians Committee For Responsible Medicine. On the surface, it would appear to be a solid plan with great tips. If we go down a little below the surface, we quickly run into issues medical experts often fail to recognize and consider. It amazes me when highly educated professionals put together textbook plans like this, for humans, without considering the human element. If we were robots, we could easily be programmed to follow the recommendations to the letter, every time. If we were robots, these tips would give us exactly the kind of results a plan like this intends. But we're not robots, we're people; humans, with emotions, stress and an individual path affected by our lifetime experiences. Before the human element is even considered, let's discuss simple calories in Vs. calories out. Many plant based foods are naturally low in calories, of course. Still, it's easy to get into some fairly calorie dense selections in this category. When we're talking about avocados and legumes, especially. And yes, they're extremely healthy—packed full of good stuff, but still calorie dense. And what about the calorie dense addition of olive oil and other things we often use to make all of this food more palatable? To suggest eating these things with few restrictions, if any, is a guaranteed path to weight loss, is a flawed suggestion from the start. When you start exploring the human element, you quickly discover these plans and suggestions are perfect for the most well adjusted and unaffected people on our planet, or programmable robots. Someone who has a history of stress and emotional eating, not to mention those of us with food addiction behaviors, should never, for a second, adopt a plan that suggests eating without limits. Yes, the food within the plan is good for us, but what happens when we encounter the triggers of stress or emotions? Let's assume we stay within the food allowed, all plant based. Are we capable of buffering our emotions and stress with additional food and calories? Yes, we are capable. The idea of ditching the calorie budget, on one level, is very attractive, especially to someone like me who has a history of stress/emotional eating and food addiction issues. But it ISN'T attractive to the sane/rational part of my brain. It's ONLY attractive to the part of my brain that's itching to take over in a no-limits/less restrictive structureless environment. Structure is important for the majority of people who find themselves in need of weight loss. For many of us, ignoring the psychological and emotional elements while attempting a prescribed “perfect” plan, is like driving a car without lug nuts on the wheels. Eventually the wheels are coming off. If we embark on a plant based plan and we're careful with the calorie budget, and we work on the issues within us, the ones often compelling us to eat more, then yes, wonderful results straight ahead! If we're affected by emotional/stress eating and/or food addiction issues-and we ignore the structure and limits needed for our individual success, then we'll quickly head toward frustration with negative results. It would be much easier if we were robots. Today felt like a weekend with all of the Saturday/Sunday challenges in keeping a slightly off center food plan. I didn't eat my first food of day until Noon. I wasn't hungry again until over four hours later. In order to take care of the calorie budget and not fall short, I decided on a late afternoon lunch and then dinner after the weekly evening weight loss support group teleconference. Had this been a normal day, my goal would have been to have dinner finished before the call. I made it to the YMCA this afternoon for some upper body lifting and cardio. It's very interesting to go at different times because it's a completely different crowd. It was a very successful day! Tomorrow is weigh day. After the two pound loss from three weeks ago, I honestly have no idea what I'll see on the scale at the doctor's office tomorrow. Whatever it is, I'm ready for it, no matter what. I'll be well, regardless. I re-read last night's post a few times and I think I articulated what I wanted. It's not always easy to organize the thoughts and explain well. I do my best when inspiration strikes me. For me, the most powerful things along this road had to come by experience. Reading about or hearing about another's experience was often inspiring, for sure--and still is, but in many cases, I seem to require a first hand experience for it to "set." I've always been rather hell bent toward learning things the hard way. Knowing this about myself gives me an extra amount of understanding and compassion for those who have a similar makeup. If something I relate, recount or dissect doesn't "trip your click," I hope it at least gives you hope. And if you're along the way a good stretch already, I hope it resonates in harmony with your experience. This entire process is fascinating to me on many levels. My plan today included upper body weight training and yoga. Except I did the yoga first, then decided it best to postpone the weight training until tomorrow. Today marked my fourth yoga practice. I love that they refer to it as "practice," because it's certainly going to take a lot of practice to get the flexibility needed for some of the more challenging movements. Today's class was small, three men and three women. I'm so relieved I'm not the only guy. Not that being the only guy would keep me from class, I'm just saying, it's nice to have other guys there with me. I had an airport pickup trip this evening, so I decided to stop at moms for a quick dinner on the way. For some reason, I was craving a cheeseburger. And I'll be having one soon. I planned it all out--For a moment, I was going to cook mom and me a cheeseburger. I would stop at a grocer I know carries gluten free buns, grab some, along with some veggies--then home to grab my 96% lean beef and some cheese slices. But then I decided against it because of the time. Instead, we had some fast Mexican standbys. A low cal gluten free cheeseburger and sweet potato fries is in my immediate future, for certain! I'm a creature of habit. And if I don't push myself to try new and interesting things in the food department, I'll simply eat what I'm most familiar and comfortable with eating. It's not a bad thing because I love what I eat. I'm not choking anything down, at all. But still, some variety is always a good idea. Variety translates to creativity in the kitchen. And that sounds like fun! This entire journey is full of wonderment and new discoveries along the way. There's the purely physical discoveries, like the time I alarmingly asked my doctor about the large, hard "growth" in the center of my chest, only to be introduced to my sternum. Or the first time I marveled at feeling my rib cage, or laying on my side and seeing my hip bone for the first time in decades...I just laid there and felt it in total astonishment. Those are fun, indeed. Some of the most revealing and important discoveries have little to do with the physical and everything to do with the mental/emotional aspects of it all. Like getting all the way to a predetermined number, but still feeling the same inside despite the compliments and how many bones you can see and feel. This is where it gets challenging. Sticking to a plan, remaining consistent and getting results is a challenge, but nothing like the challenge of changing a lifetime perception of oneself. The mind doesn't gradually change along with the numbers on the scale. Often times, we'll look for increased validation from others, in hopes we'll be convinced of our worthiness of love and acceptance. The problem with this strategy is, even when we're receiving genuine adoration, compliments, praise and validation, none of it counts if we have a voice inside negating every word. We can't pretend to believe something we don't. We can try, but it's a thinly layered facade at best and it doesn't take long for our most genuine feelings about ourselves--the ones with all of the emotional anchors--to override our systems, and set us back to where we started. It's interesting because, often times we're searching for something from others, that we haven't taken the time to recognize and give, unconditionally, to ourselves. As we proceed to take extraordinary care, we quickly realize the importance of self-honesty with our food and exercise choices. Leveling the same brand of self-honesty to the emotional side of things can be a difficult bridge to cross, but one worth crossing. And even after we cross that bridge, we're still capable of retreating back across if we don't make this inner exploration critically important. If our list of weight loss goals and expectations include finally feeling good about ourselves, then that, in my opinion is a good place to stop and evaluate the mental/emotional aspects of this journey we're on. You're good, right now. All of the critical judgments you're making completely miss the point of who you are and what you're all about. We've heard the expression, "it's what's on the inside that counts," and still, we're often too preoccupied with the outside to fully grasp the meaning. I'm not saying the physical changes aren't important. I'm simply saying it's important to embrace this: The wonderful elements inside us do not improve when the scale goes down and they don't decline when the scale goes up. The physical side of this journey provides better health and increased mobility. The mental/emotional side can provide the most dramatic transformation of all. Because if we exercise this area of personal introspective study, we're in effect, fortifying our position and giving ourselves the greatest chance at success beyond whatever predetermined number or outward sign of success we're after. I've experienced all of this first hand. I'm a student along this road and I'm always learning. I didn't expect this journey to become such a deep kind of thing. If you've read the archives of this blog from Day 1, you can tell--I didn't know where I was headed beyond the smaller numbers, smaller body and smaller clothes. Discovering, then dealing with the elements beyond the superficial isn't easy sometimes, or ever. But it's worth the effort. We're worth it. I'm worth it. You're worth it. If we give ourselves this loving attention first and foremost, the ride will be much smoother down the road. If you're disgusted with yourself, it's time to forgive. If you're ashamed of your regain, it's time to forgive. If you constantly beat yourself up for perceived failings along the way, it's time to stop. It's time to forgive. It's time to get real. It's time to embrace, you. You deserve this level of love and care. Stop denying yourself. We're all human. And as humans with human emotions, we crave love, acceptance, connections and certainty. Finding these things within, giving them to ourselves first--changes everything and allows us to recognize it from others down the road, a little easier. I rested well today. Oh wow-- slept in, then took a nice nap mid-afternoon. I was all about rest today. I had other things to accomplish, too. I was determined to get a workout in at the Y, do some light grocery shopping and prepare all three meals at home. I accomplished these things. I'm happy. I'm headed to bed. I feel ready for a fantastic week ahead. I feel mental and emotional growth. I feel balanced, hopeful, grateful and full of peace. Goodnight, my friend. My time management skills were tested today. I did not score well! But I made the best of it, modified my plan and feel good about the outcome. On second thought, perhaps I did score well. I had an early morning airport trip, driving a friend and colleague with a pickup time before 7am. I didn't get in bed and asleep until nearly 1:30am. Getting up a little after 5am, 20 minutes ahead of my alarm, wasn't enough sleep. I couldn't go back to bed upon my return because I had a location broadcast at noon. My plan was to come directly home after the broadcast, eat something, then take a relatively short nap, getting up in time to make the YMCA by 5:15pm. This would give me enough time for a good cardio workout on the elliptical before they closed at 6pm. I overslept my alarm. It was 6:50pm before I opened my eyes. My alarm had blared for an hour before it automatically shut itself off. I was obviously in need of rest. This is where I had to shift plans quickly. I had a play to attend at 8pm, dinner and a workout still ahead of me. I called a restaurant to see what time they closed--and it was too early. They would be closed by the time the play concluded. I decided to order the grilled chicken and zucchini for pick-up on my way to the Ponca Playhouse. I would leave it in the car and reheat when I arrived home later. The workout? I decided on a 5K at the park, late. This would be one of those workouts where I care more about the mental benefits of getting it done, than the physical benefits. The play was Marc Camoletti's "Don't Dress For Dinner," directed by my friend Chris Williams. It was the play I wrote about wanting to audition for a couple of months ago, but decided against that notion. It was fun, hilarious really--and it would have been a blast to be in the cast, but I couldn't commit the time it takes to prepare. Besides, Chris had a wonderful pool of talent and each of them made the production great. I came home from the play, prepared my grilled chicken salad--yes, I said the "S word," finished eating and then prepared for my late night 5K at the trail. I don't like going out there this late, but I needed it. It was 52 degrees, so that wasn't bad at all. I arrived and had the entire park to myself. The police on patrol scared the living daylights out of me with their side-car spotlight (don't get me wrong, I appreciate their watchful eye and protection). Other than that, the only other thing making it a challenge was the threat of rain. As soon as I started, it started sprinkling. I was preparing myself for a downpour, but it never came. Just sprinkles. As I started lap 3 of 4, I noticed a couple of cars pulling into the park. I get weird when I'm at the trail this late. Everyone is suspect and my imagination is very creative with reasons why they're visiting the park this late. It was obvious they were not there to workout. Maybe make out, but not workout. It was a little after midnight when I decided I didn't like the uneasiness I felt out there. And really, it was likely just fine--but again, imagination gets the best of me. I decided to end the 5K early at 2.7 miles. When I do a 5K there, it's actually 3.4 miles, not 3.1...four laps is 3.4, so 2.7 miles was close enough for me. And ultimately, it served its purpose of mentally satisfying my need to do something to salvage a strange/messed up schedule. It would have been very easy to chalk this day up as a loss and do better tomorrow. But after my recharging nap, I really didn't have a good reason why I couldn't get done what I wanted. I'll sleep in tomorrow morning. It's late night 5k time. Lacing up now. Just started the 5k, now it's starting to rain!!! Keep it at a sprinkle and I'm okay! It never became more than a sprinkle. Cutting short, still. 2.7 miles instead of 3.1 (or 3.4 with 4 laps). I'm good with this. Very good. I hit on all cylinders today. I wasn't messing around. I made sure I hit my water goal (exceeded by 4 cups) and I did my upper body weight training followed by cardio on the elliptical. I've decided to suspend the lower body weight training until a later time. My lower body strength is fine. My upper body is what needs the work. I believe my yoga practice will suffice in the lower body area, not to mention how easy it would be for me to do squats in the comfort of my apartment. I noticed an increase in upper body strength today. I even added some weight on a few of the machines. I don't know if this is normal or not, I have nothing to reference. It certainly felt like progress, so that's what we'll call it: Progress! I enjoyed a nice meal out before heading to the John Conlee, Moe Bandy and Joe Stampley concert at one of our area casinos. Getting free concert tickets is a wonderful perk of the radio business! 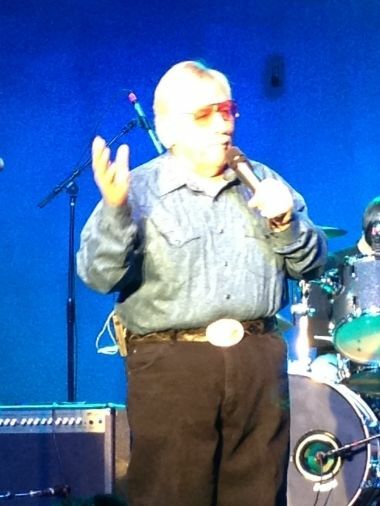 This is John Conlee performing his 1978 #1 hit "Rose Colored Glasses." His voice still sounds the same as it did 36 years ago. The guy can flat out sing! I just enjoyed an apple and a pear for my #lastfoodofday. It's almost 1am and the alarm is set for 5:30am. I've got to be up early because I'm driving a friend to the airport in Oklahoma City for an early flight. Looking forward to writing more over the weekend, reading more too and catching up on some rest at some point along the way! One of the most important things we can do along this road is practice self-compassion. It's tricky, because there's a line where self-compassion gets tangled with excuses and letting ourselves off the hook because it's convenient or easy. It's regulated with self-honesty. And, that's a tough one in itself sometimes. Despite grabbing a small sugar-free/skinny--oops, make that "tall" sugar free/skinny cinnamon dolce latte for the drive back home, I was having trouble staying alert. I'm tired. Yeah, that--I was kind of hoping to just skip over this one. For some reason--probably because I recently proclaimed I was getting into a groove with the water, I've struggled to get enough today. I'm drinking cups five and six as I write this post. I'll hit six and be fine. There will always be days like this and days like I've had recently where I feel like I'm firing on all cylinders. It balances. I experienced my third yoga class today. I'm truly loving it; everything about it. It's exactly the kind of compliment I needed in addition to what I'm already doing in other areas with cardio and weights. I spent a good amount of time tonight replying to a few emails and comments from yesterday's post. Thank you for your wonderful support, I sincerely appreciate every word. It's been a long and wonderful day and evening. I'm wrapping up this post early in favor of dropping in bed. I look forward to writing more tomorrow evening. Revised dinner calories: Forgot the small amount of cheese! 1/2 serving. Added 55 cal. Revised dinner count: 515 cal. Today was busy! But it was good. Despite the schedule, I took a short afternoon nap between work and workout. I keep telling myself it would be better to go workout directly after work, then, if I still feel I need a nap, have at it. But anyway, I did what I felt I needed to do today. And it all worked out. It did cut my time short earlier this evening at the Y, because I had the support group at 7pm. I only did cardio early, then finished the conference call, had dinner, then returned to the Y for weights. I must be consistent with the weights if I expect to get results. This consistency thing, aside from previously mentioned hangups, is one of the necessary elements I allowed to keep me from starting. Because I know, once started, I must remain consistent for it to help me. I have a tendency to fly by the seat of my pants occasionally and that's not really a friend to consistency. It's important to me, though. And we take time for what's important. The water accountability is going very well. I'm actually getting in the groove. I'm not resisting too much, which is an improvement. I thought about stopping the water tweets the other day, but then I had to get real with myself. Why? After much consideration, I determined it would simply be a way to decrease accountability and ultimately drink less water. I need water. My body needs water. We all need water. But maybe it's cluttering my twitter feed? Really?? Who cares???? If someone doesn't like it, it's super easy to unfollow! People come and go all the time. I'm not sure what brings some of them, but I imagine if they're unaware of what I do, they're probably like--wow, this guy is obsessed with everything he puts in his body!! If I see one more bean and cheese tostada, I'm out. Okay-that's it, today's lunch did it...unfollow!!! I try to always remember the purpose of the twitter feed and this blog. It's accountability, it's structure--these are vital elements of my successful recovery. And I know it helps others, too--those that understand what I'm doing, but as I've said many times before, its main purpose is helping me maintain a successful trajectory along this sometimes winding road. If it helps, encourages and inspires anyone else, it's a bonus. I hope it does. I've been told it does. That makes me feel good. I've been a little fascinated with before pictures lately. I'm not sure why. I started looking through the archives of my photobucket account and it started something, I guess. It helps me stay encouraged. It also provides some kind of psychological untangling I can't really explain as well as I'd like. All I know is, it seems to help with the inner-self-image stuff. I look at the guy in the above photo and I realize he's the same man typing these words right now. He has the same heart, the same mind, the same talents, the same likes and dislikes too. 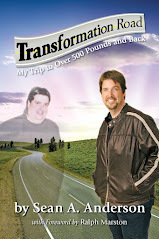 He's in for a big mental/emotional/spiritual transformation--and he doesn't know it in this photo-all he knew at this point was he was determined to change physically in a dramatic way. I had no idea how many spectacular facets made up a journey like this. 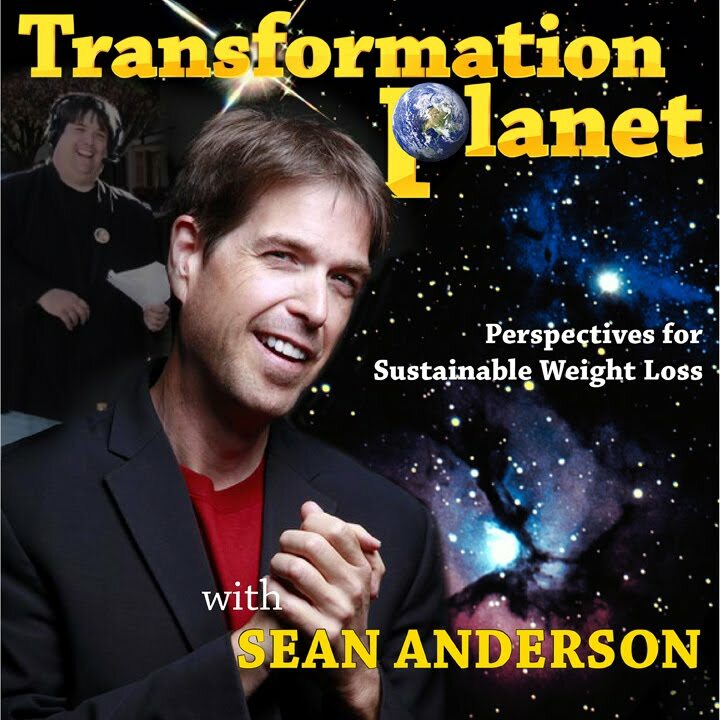 The physical transformation is truly the least powerful. It's sometimes the most fun, but absolutely the least of it.